Morning Glory Designs: Rainbow Galaxy Published! That is very pretty. I will have to watch for that issue of McCalls. I'll be watching for the issue too! Congratulations! It is one beautiful quilt. I also will have to keep an eye out for that issue. What a wonderful start to the holiday! congratulations! Beautiful! Congratulations on having it published. Congratulations Reeze! That is a beautiful quilt and a wonderful start to your holiday season festivities. What a beautiful quilt - all the colours give it a special vitality - my kind of quilt. lovery quilt the magazine looks great. Lovely quilt. Congratulations on its publication. Beautiful Quilt. If I get the magazine I will surely buy it. I always buy the Scrap Quilts Editions. Your quilt is just perfect for stash busting. And I like all those secondary patterns by using different colors. Love it. So exciting for you and us--it's gorgeous! Congrats! This issue would be eye candy and a wonderful addition to any quilt library! Gorgeous! I'll definitely look for that issue. The colors are wonderful. I have a lot of scraps and this would be perfect to use some of them up. Congratulations on being published. Love it!!! I'm always looking for new ideas to use my scraps. I really like scrappy quilts and love this one, both ways! Congratulations! Beautiful quilt. I love scrappy quilts...especially reproduction fabric ones. WOW, how wonderful for you to have your quilt published. I know none of mine ever will be but I still love making them and watching people who I gift them to open them. Merry Christmas holidays with loved ones and every happiness in 2013. Reeze how wonderful for you and an honor. Great to see a fellow Kansan in a great quilt magazine. Your creativity with this pattern and choice of colors is beautiful. How pleasing for you too be able too pick-up the magazine and see something you created for all to see .I am so excited for you . How pleasing for you too be able to pick-up the magazine,and see something you created in it.I am so excited for you it just makes me smile. It's a beautiful quilt. I really like it in the multi-colored version. Congratulations on having it published. Great quilt. Maybe this will motivate me to use my stash. Can't wait to see in magazine. Congrats. I just love all the stars and especially love the Civil War repro's. Would love to have a copy of the magazine too. I am not a lover of civil war quilts but yours is stunning. I can see why McCals wanted to publish yours. Congratulations!!! Will have to watch for the issue. So happy for you! Congrats on having this quilt published. McCalls always has a wonderful scrap quilt issue and I love them all. Your quilt is a great addition to their many beautiful scrap quilts we all want to make! Congratulations---McCall's, yet! What an feather in your cap! Colorful quilts always get my attention--love it! McCalls has a wonderful magazine of high quality and great stories. Always fun to have your quilt included in a magazine. I also enjoy the Civil War era and the fabrics to go along with the quilts. Very nice pattern, and a great use for scraps! I'll definitely be looking for this magazine. 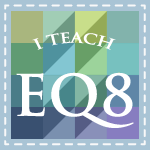 Your quilt is beautiful..makes me want to use my EQ7 more often! I love McCall's Scrap Quilt issues. I will be watching for it at my magazine shop. Congratulation on your quilt. It is gorgeous. Stars are my favorite and hope to win the magazine. If not, I will be looking for the magazine at my local quilt shop. The quilt is amazing! I used to but MC for many years, may to have to again after seeing this lovely quilt and magazines! Wow. How awesome for you. Congratulations! I just got an email from McCall's today about that magazine and was checking it out. I hadn't seen it before and thought it looked like a great one to have. And how funny I opened your email and see you're giving copies of it away and showing off your gorgeous quilt. I do recall quickly seeing this post when it was done but didn't take time to post or comment as we were on the way out the door that day. I was waiting for hubby to get ready and then I forgot to come back and read more carefully about your quilt. I'm glad you added this link in your email I got yesterday to remind me again. Thank you. Congratulations! It is a wonderful design, and I love your choice of the Civil War repros. I am very fond of red and white or red and tan quilts, but You made the right choice. Congratulations! I absolutely adore your quilt. 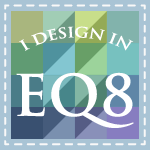 I am also looking forward to your articles in The Quilt Pattern Magazine. Oh my goodness, that's gorgeous! I usually buy that magazine, but this one I'll be hunting down, for sure. It's absolutely beautiful, you did a wonderful job! Congratulations!!! This is one awesome quilt!! I love the look and the colors that you chose. You are one talented lady! 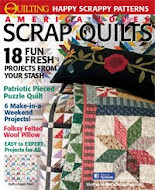 I don't normally buy magazines of any sort due to the higher prices than yesteryear...lol But I will make an exception this time the quilt is soooo pretty I want to make it. I love your selection and placement of the colors. I've been wondering what to do with my stash of civil war reproductions. I have my answer now! Thanks for sharing. Congratulations! Thanks for sharing the happy news. Your Quilt looks great! Your quilt is beautiful. I love it! Whether I win or not, I will be checking out the new issue. Love Scrap Quilts! Great quilt and wonderful for using up leftover fabrics.